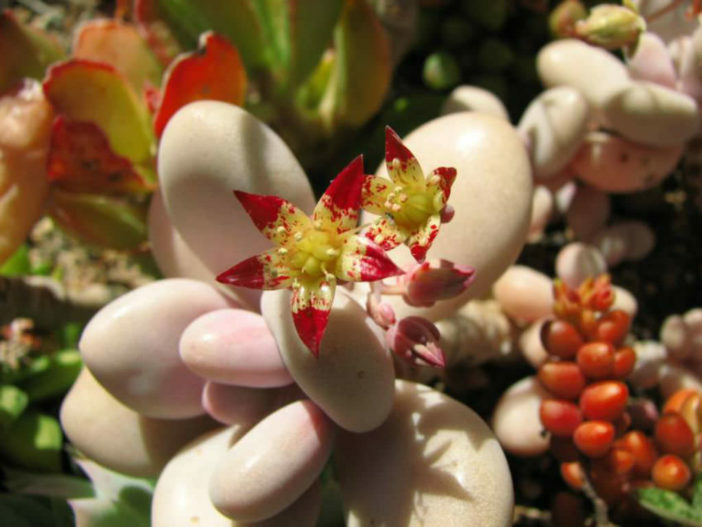 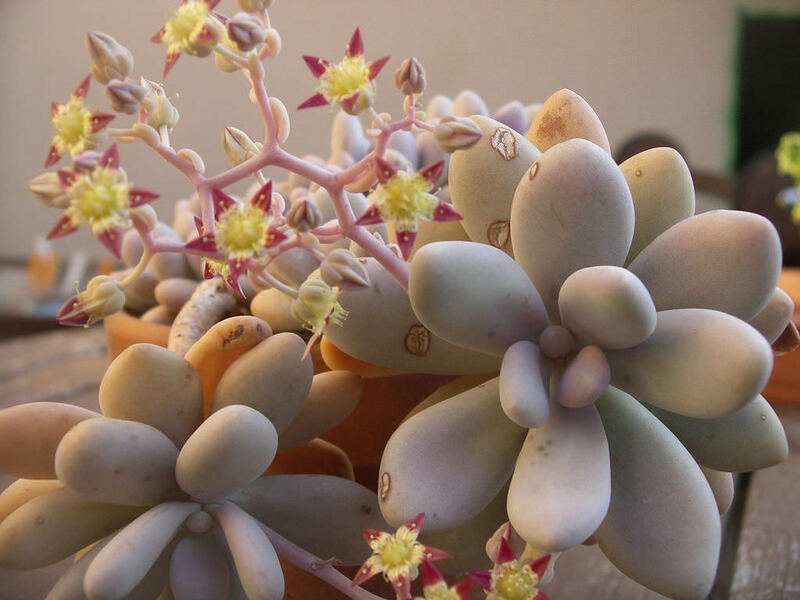 Graptopetalum amethystinum is a rare species that looks more like moon rocks than a plant. 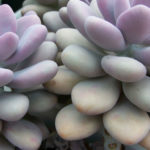 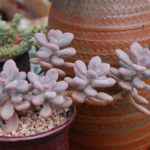 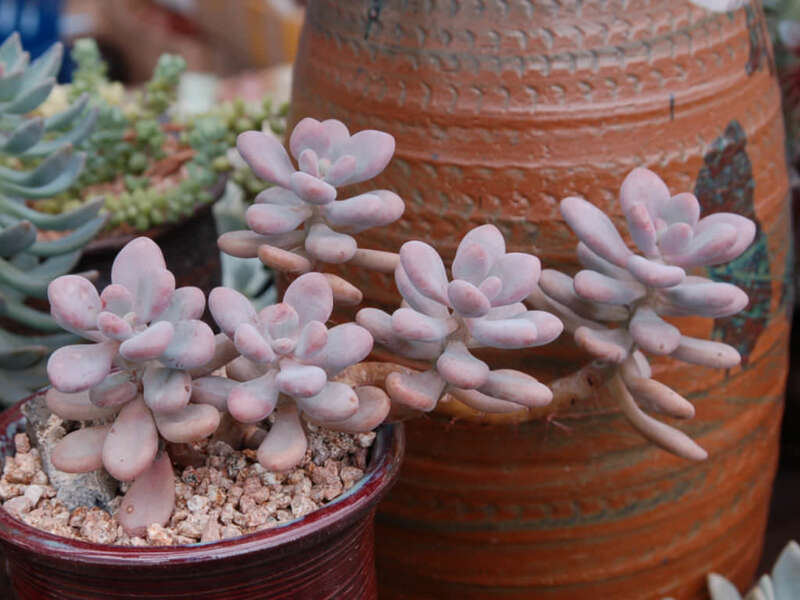 This succulent plant has plump, rounded leaves in lovely shades of lavender, pink, and green. 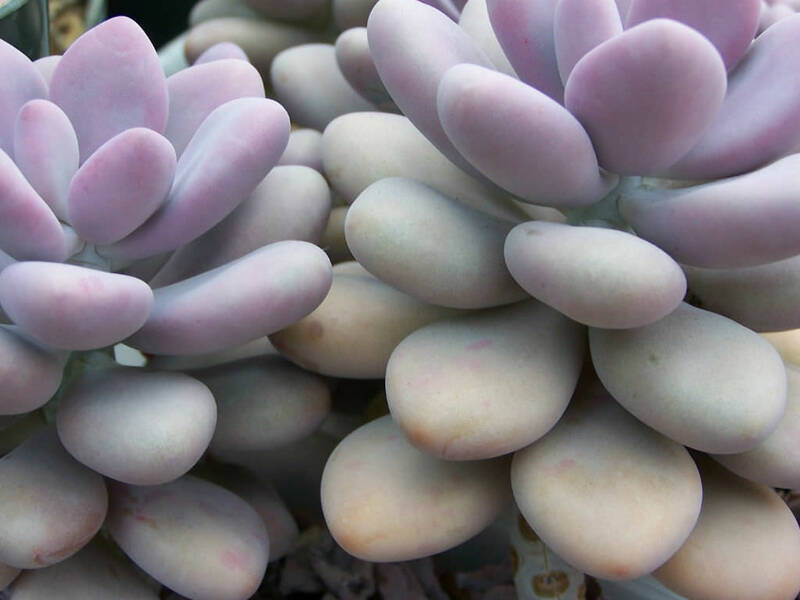 The leaves have a powdery coating that adds to the eerie, moon rock look. 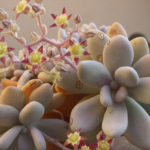 If grown in a hanging planter, the plant will spill over the edges up to 18 inches (45 cm).